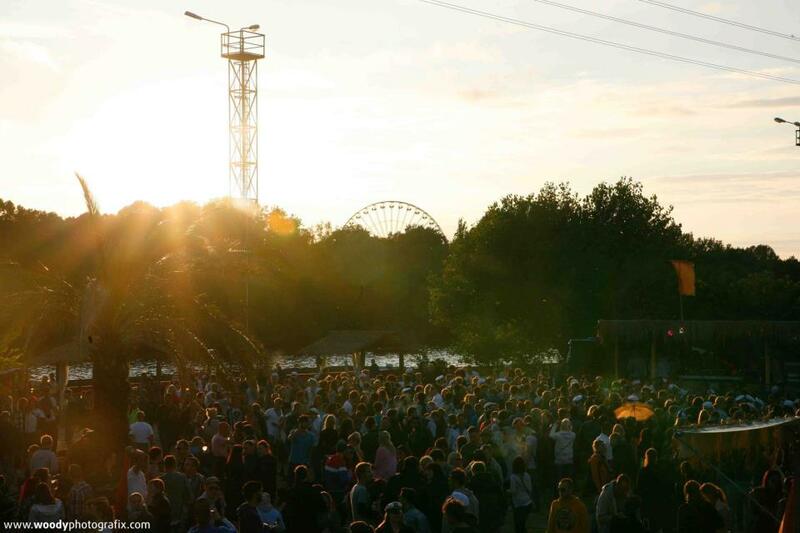 Many articles on this blog have something to do with partying and the different clubs in Berlin. 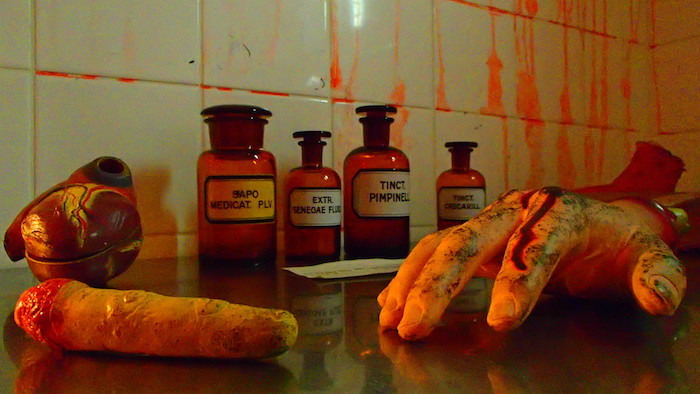 There is just so much to do when you have a night off but sometimes you might not be in the mood to party. Once in a while a quite night with some friends might be what you are looking for. Why not play some bowling or visit the billard-salon Köh at Hackischer Markt. 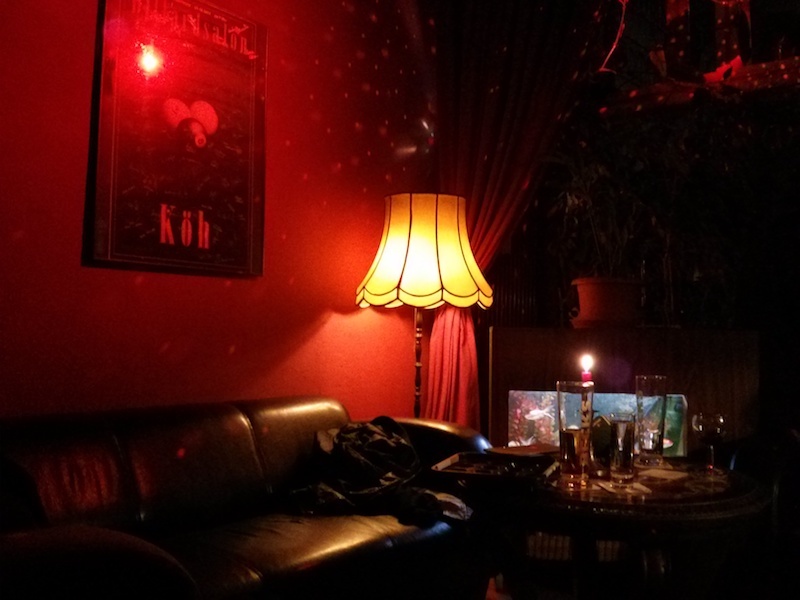 When you like to play some billard in Berlin I can recommend visiting a billard-bar which goes by the name of Köh. This billard-bar is located not far from Hackischer Markt and the atmosphere is great. The bar has an autentic style with an old-english. The friendly personell and the well-chosen music made my day when I visited the bar a few weeks ago. Köh is located at the exit of Hackischer Hofe, a cute little courtyard not far from station Hackischer Markt. You can reach Köh easily by foot, just walk through the Rosenthaler Straße and you find the Sophienstraße on your left hand side. There you can find some signs (see the bike on the image below) which will clearly tell you where you have to be when you want to play some billard in Berlin. Billard-bar Köh opens its doors every day at 17.00 and on Sundays you can play billard one hour earlier (16.00). Depending on the amount of visitors the bar has flexible closing hours which fits perfectly in Berlin. You can play billard for 7,50€ an hour and also the drinks are priced very reasonable: A bottle of Becks is available for 2,50€ for example. 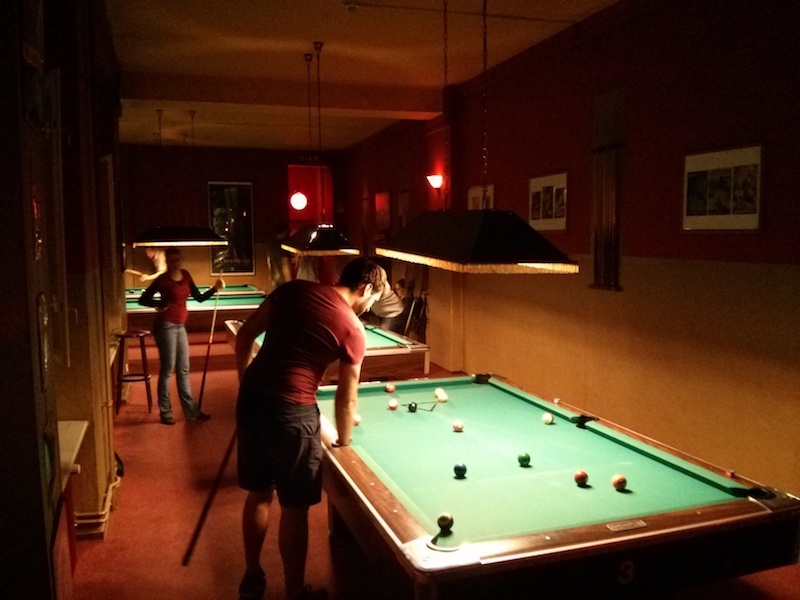 All in all Köh might be a great place to visit when you want to play some billard. 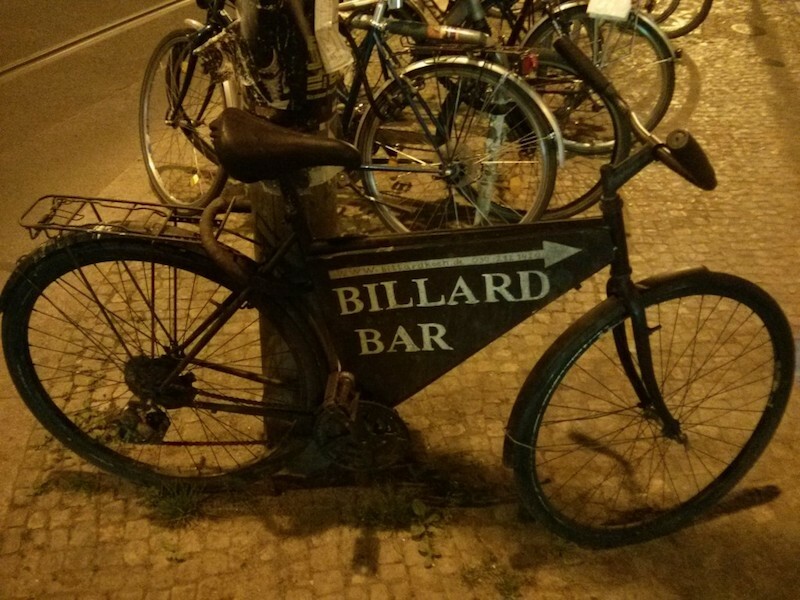 The billard-bar has 8 tables so normally it should not be necessary to make a reservation.